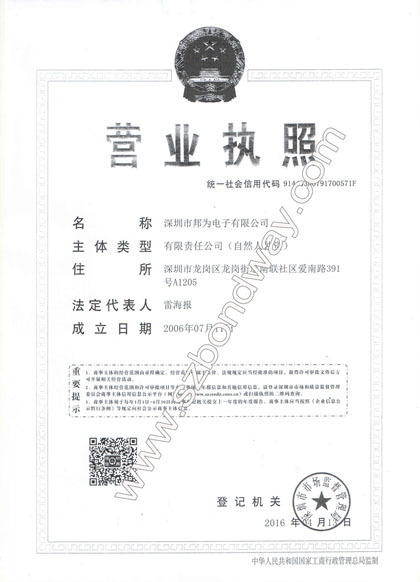 Shenzhen Bondway Electronics Co., Ltd is established on July 11,2006 under the law of People's Republic of China, it's grown up to a reputed company dedicated to provide quality medical equipment to the world markets. As a professional manufacturer and distributor, Bondway is offering high-quality products including veterinary ultrasound scanner, human-use ultrasound scanner, biopsy needle brackets or needle guide for ultrasonic transducer covering most of the leading brandnames at unbeatable price, we believe that the key point for running business successfully both at home and abroad is to be creative, considerate, passionate, committed and industriousduring the days of economic and cultural globalization. 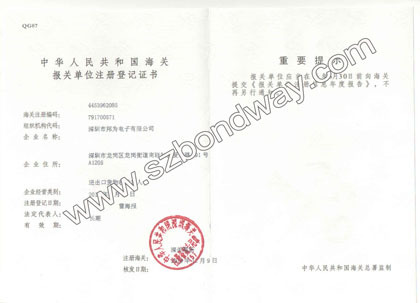 As a sister company of Shenzhen Bondway Electronics Co. Ltd.-Bondway Medical Instrument Ltd (in Hong Kong) is established on April 10,2008 under the law of Hong Kong, specialized in distributing Bondway products to the world's market. Our mission. We are committed to be a long-term strategic partner, we are willing to focus all efforts on continuous technical innovation and improving health of the people with our product. Our vision is to be a leading supplier of medical devices and a profit supplier, creating value for customers, partners, and employees. All our work would be worthwhile only if it goes beyond customer's requirements and expectations. As a leading medical device supplier with growing popularity, Bondway has been devoted to and are now establishing a worldwide network of highly qualified and respectable distributors specialized in sales, marketing and customer service in their respective local areas. These distributors or partner build up the backbone of the Bondway's sales team and are instrumental to Bondway's continuing success. 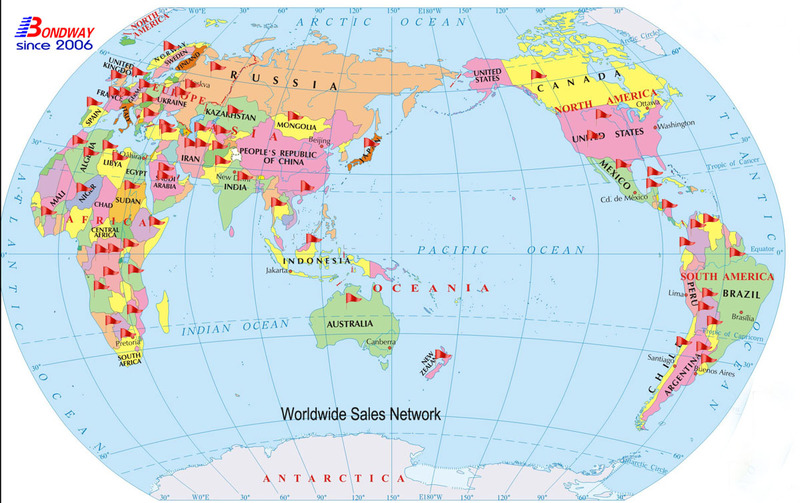 We've exported our products ever to over 110 countries in Europe, North America, South America, Southeast Asia, Middle East and Africa, etc over the past 12 years. Europe: UK, France, Belgium, Ireland, Italy, The Netherlands, Germany, Finland, Sweden, Czech, Slovakia, Spain, Russia, Romania, Hungary, Bulgaria, Albania, etc. Australia: Australia, New Zealand, Fiji. Asia: Thailand, Philippines, Japan, Singapore, Sri Lanka, Vietnam, Indonesia, Malaysia, UAE, Kuwait, Bahrain, Qatar, Yemen, Saudi Arabia, Lebanon, Iraq, Iran, Syria, Pakistan, India, Bangladesh, Ukraine, Kazakhstan, Uzbekistan, Azerbaijang, Georgia etc. Our production lines are backed up with advanced facilities and strict administration. 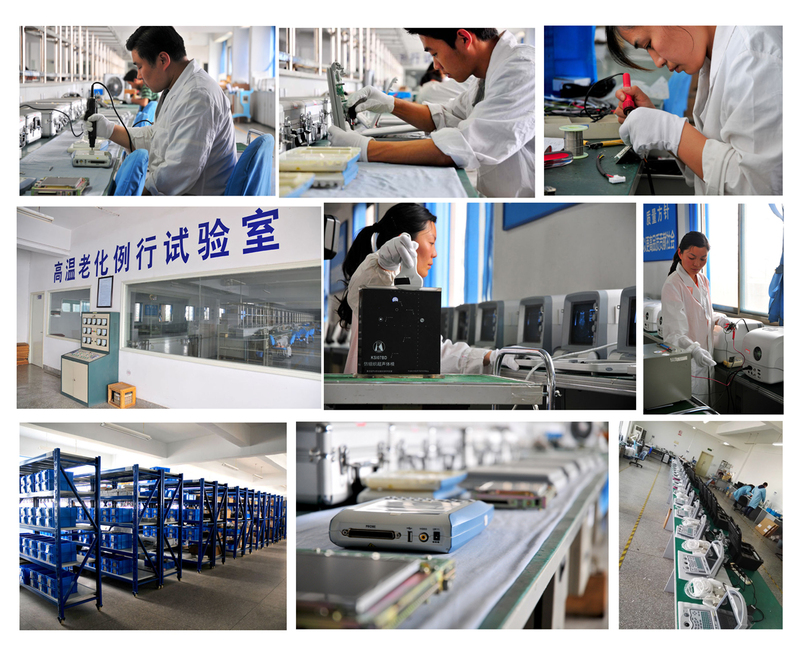 Our production lines and precise checkout equipment make us one of high production capabilities here in China. The strictly production control system enables smooth production flow. Each year we are able to manufacture 5000 units of ultrasound scanners: portable, laptop, palmtop, trolley-style, etc. Bondway believes that innovation is the core drive for the development and growth of a company. Our young R & D team, talented and creative, will launch 3 to 4 new innovative products to the market every year. Meanwhile, we've been engaged in building up a stronger connection with domestic professional institutions and incorporating with scientific and techincal centers from abroad to improve our innovative capability. In addition to developing new products, our R & D team and our production department work closely together to optimize manufacturing processes and develop competitive products. They incorporate regular feedback from our sales and marketing personnel, enabling us to timely introduce products tailored to end-user needs. We have an obviously competitive advantage in international markets by leveraging low-cost technical expertise, labor, raw materials and facilities. During today's economic and cultural globalization, the key point for running business successfully both at home and abroad is to be creative, considerate, passionate, committed and industrious. 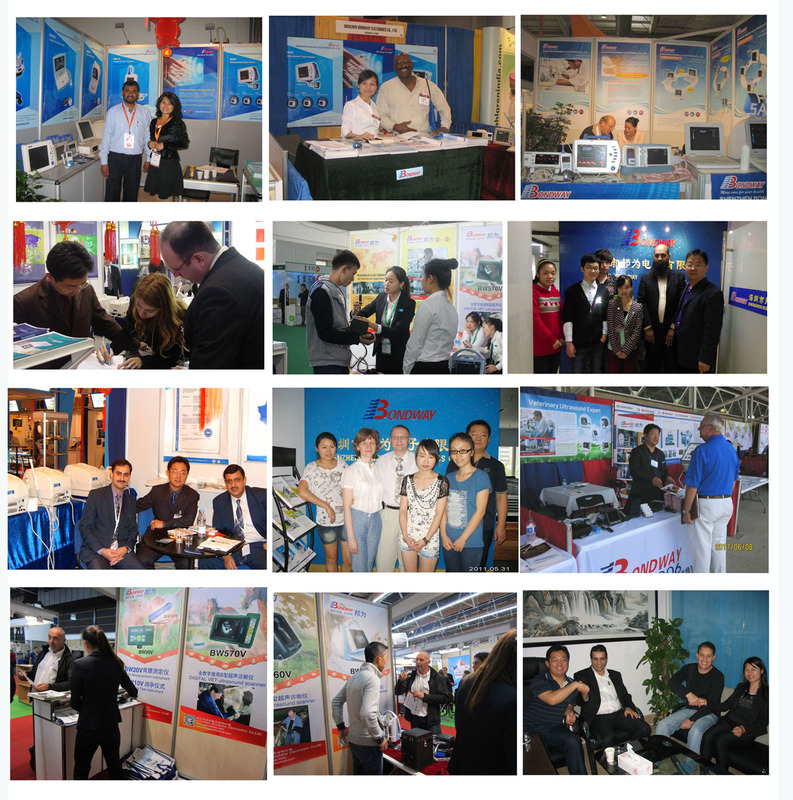 We will always focus all efforts, investment on continuous technical innovation, optimize customer service. Bondway's creating a performance-driven corporate culture that values integrity and constant improvement. We've developed the employee training within the framework of a comprehensive, ongoing, and consistent employee training program. This employee training program is essential to keep our staff motivated about learning quality concepts, guidelines and quality standards, improve job performance, as well as build up an overall professional development program, etc. 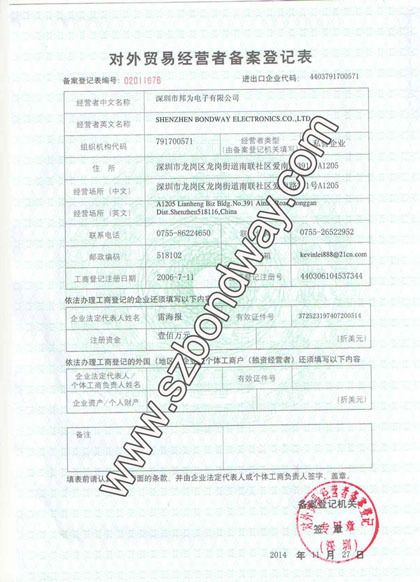 Welcome to Join us Bondway is always welcoming new members to join our distributor network. If you would like to know more information about Bondway's distributors in your local area, or would like to become a Bondway distributor covering your local area, please feel free to contact us. OEM service also available as per your specific requirement. 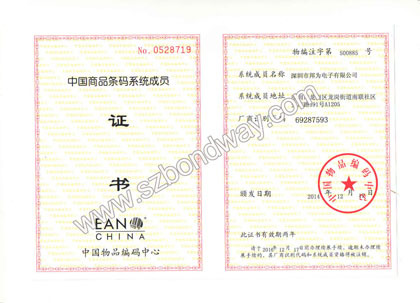 You're also advised to view our second official website: www.bondwaymedical.com.